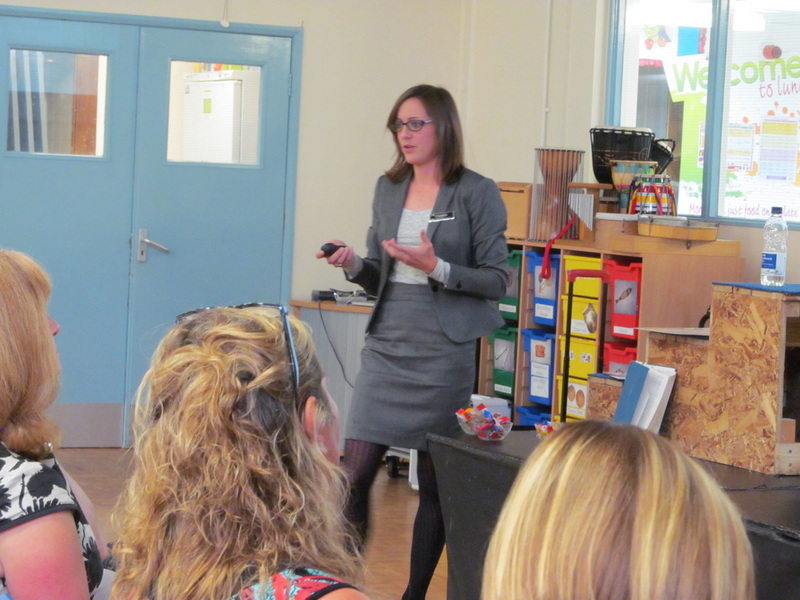 ​​TeachMeet Ellesmere Port took place at St Bernard’s RC Primary School Sherbourne Road, Ellesmere Port CH65 5EW on Thursday 1st October 2015. Many thanks to Andy Moor and his staff for making everyone so welcome. The event was attended by over 50 colleagues from primary schools, secondary schools, the University and other organisations. It was great to see so many people from local schools as well as others who had travelled quite a distance - thanks again to the Elfed staff and Phil from Springwell Park in Liverpool. 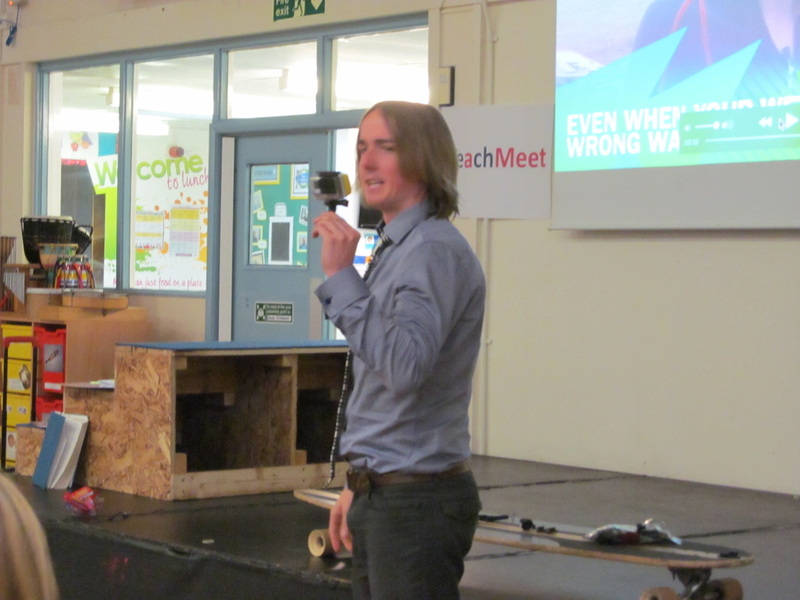 There were nine presentations from experienced presenters as well as TeachMeet novices. A bit of a science theme developed early on, though there were presentations on a range of topics, from global learning to outdoor learning to talking pens! Anne Buckley and Kim Harvey's (@inspiring_sci) presentation had a lengthy title (Children generating questions to investigate in science: how to use simple equipment to stimulate your pupils' curiosity), but a simple and powerful message about prompting children's questions and scientific curiosity using everyday materials and objects. Their presentation is below. 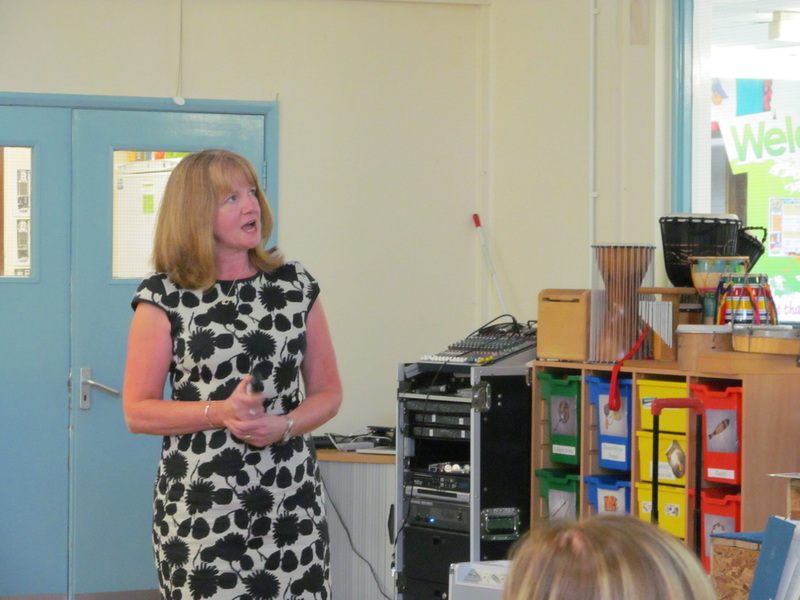 Viv Spencer (@vivspencer) presented on 'using learning grids to enhance learning in Curriculum 2014'. 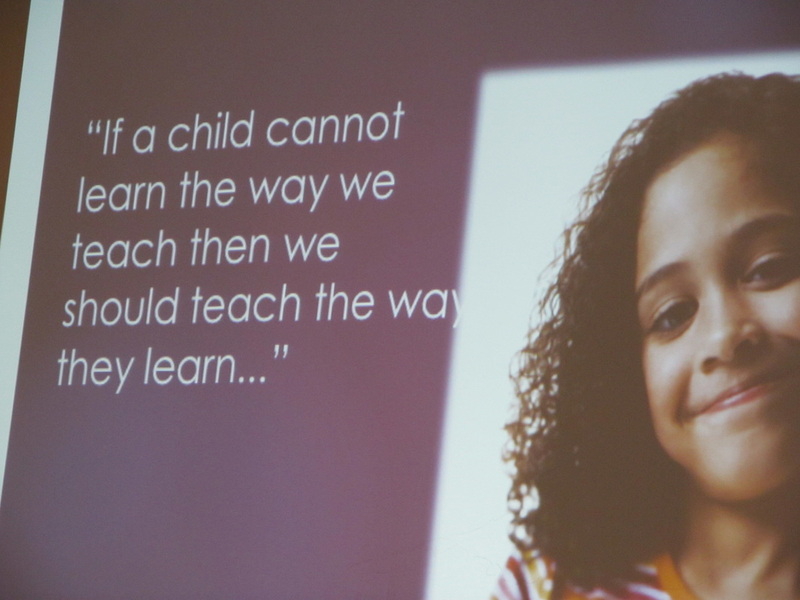 The presentation focused on improving the flow of children's learning through the use of gamification. The clarity of the presentation and its theoretical underpinning gained some very positive comments from participants. Samples of learning grids from Viv are available via DropBox - see the presentation below for login and password. Kiri Crequer's (@TwigWorld) presentation on 'Film in the Classroom' raised awareness of a range of resources and CPD support for the teaching of science and other subjects in primary and secondary contexts. ReachOutCPD - www.reachoutcpd.com - is a suite of bite-sized, certified, online CPD units to support the teaching of primary science - impressive and entirely free! Twig World - www.twig-world.com - is a subscription service providing a huge range of high-quality, short film clips to support teaching of secondary science, geography and mathematics. Thanks to Kiri for providing a year's free subscription as one of the raffle prizes! Sharon Smith's (Tute Education: http://tute.com) presentation on Social Education focused on 'utilising emerging technologies to engage and enthuse learners in collaborative learning'. She looked at how social networking features that are familiar to children can be structured to facilitate small group and individual learning in powerful ways. Her presentation is below. 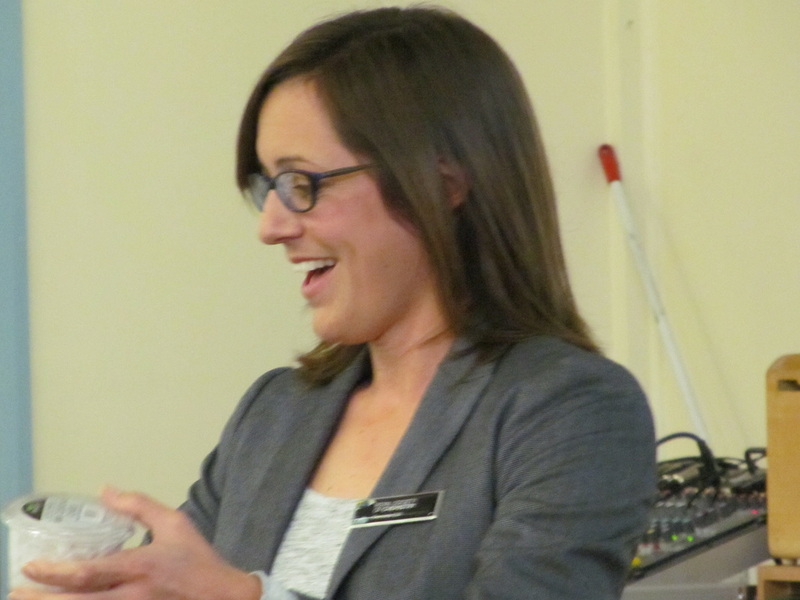 Charlotte Still's (@CStill22) presentation was entitled 'Chem(h)ist(o)ry - using cross-curricular resources to bring science and history together'. She raised awareness of resources from the Royal Society of Chemistry, including Experiment with the Vikings - http://rsc.li/experiment-with-the-vikings - for KS1-3 and Chemistry and Art - http://rsc.li/chem-art - for KS2-3. 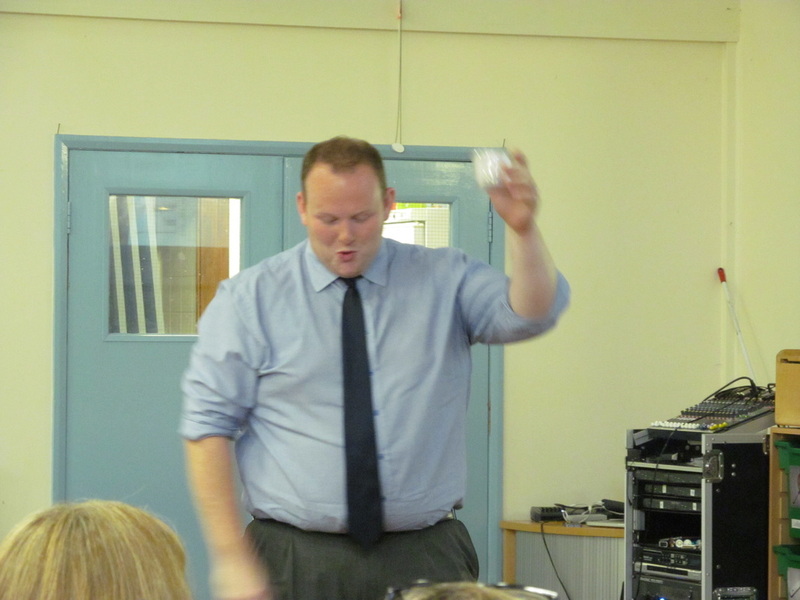 There was also a little audience participation involving dropping eggs! Charlotte's presentation is available in PowerPoint format below, so that you can access her slides and also highly informative notes. Neil Sledge (@CheshireDEC) looked at 'Bringing the world into your classroom: in at least 7 ways!' 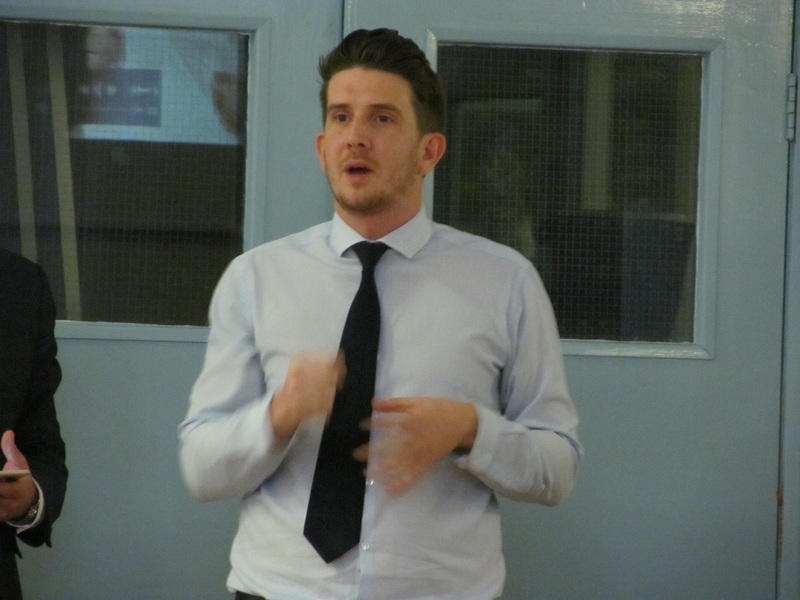 As well as presenting some engaging ideas for global learning, Neil raised awareness of Cheshire DEC - www.cheshiredec.org - and its services and the Global Learning Programme: https://globaldimension.org.uk/glp. Neil's presentation also touched on the new Global Goals and teaching British Values. It is available below. 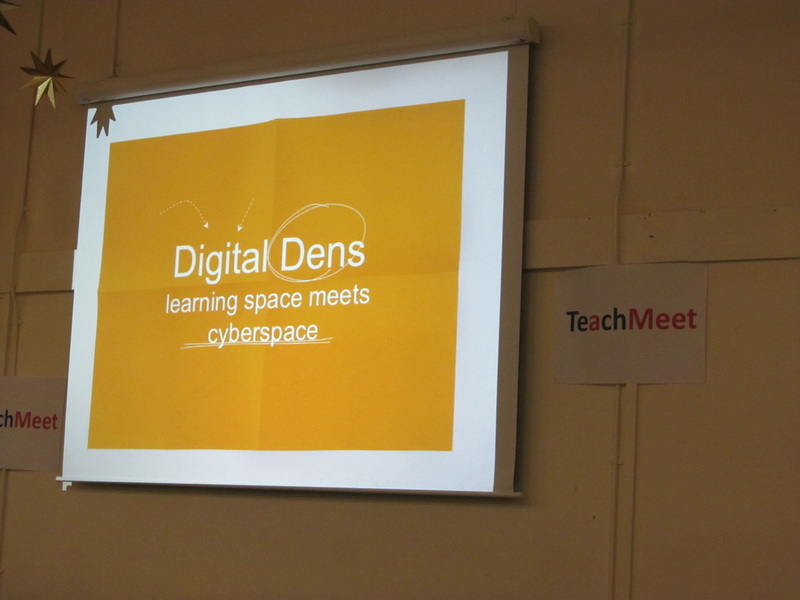 Philip Nottingham (@trysomeicytea on Twitter and http://trysomeicytea.com) presented on 'Digital Dens'. This idea harnessed children's fascination with dens and den building to develop literacy skills. Using notebook computers and Google Docs, children in different classroom dens took on character roles from a story and engaged in text-based conversations, which showed engagement and imagination. Phil's presentation is below in PDF format. 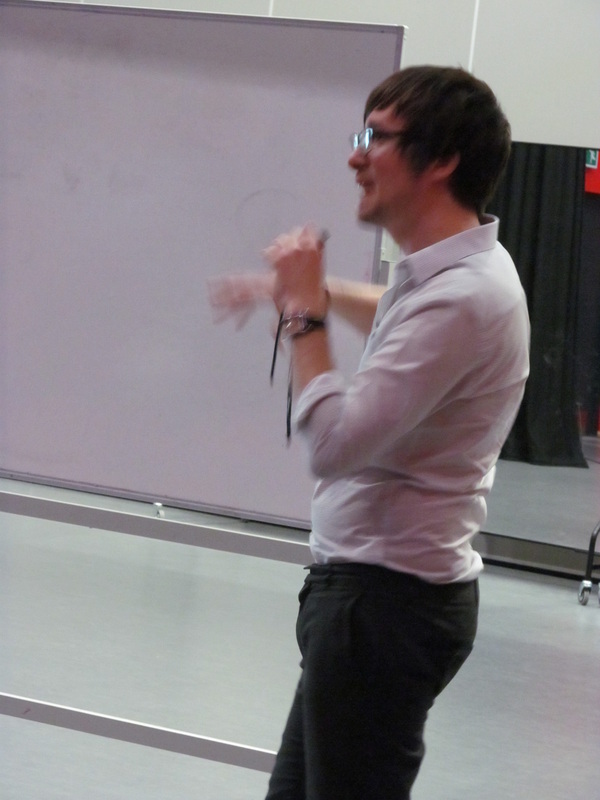 ​​Tom Wallace (@afl_teaching) presented on 'Assessment Magic'! 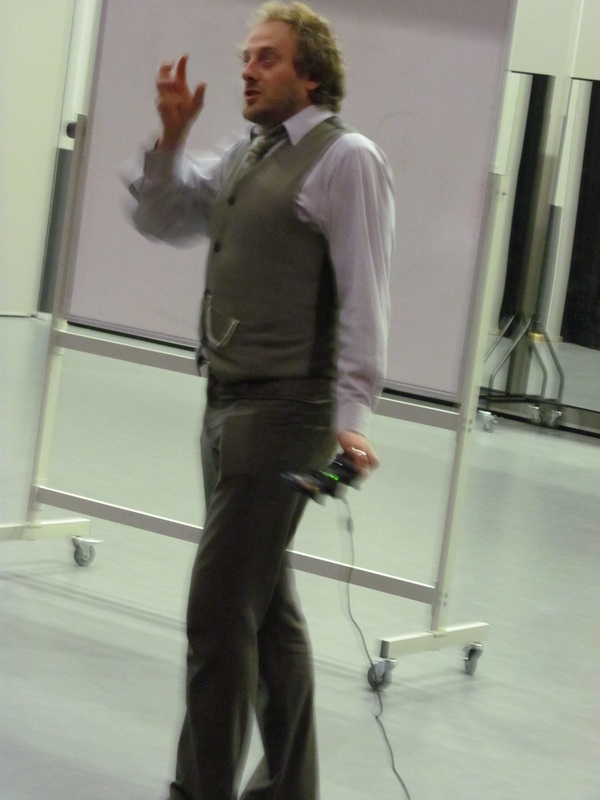 He demonstrated the use of Livescribe pens to translate languages (see video above) and make music. 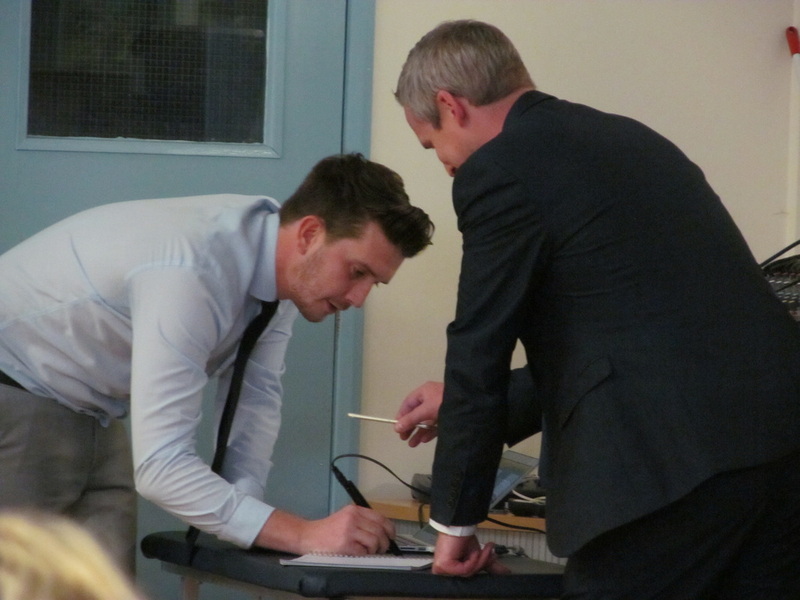 On a more serious note, he explored the use of the pens to give targeted assessment feedback and linked this to the Balance formative and summative assessment system, developed at St Bernard's: www.thisisbalance.co.uk. 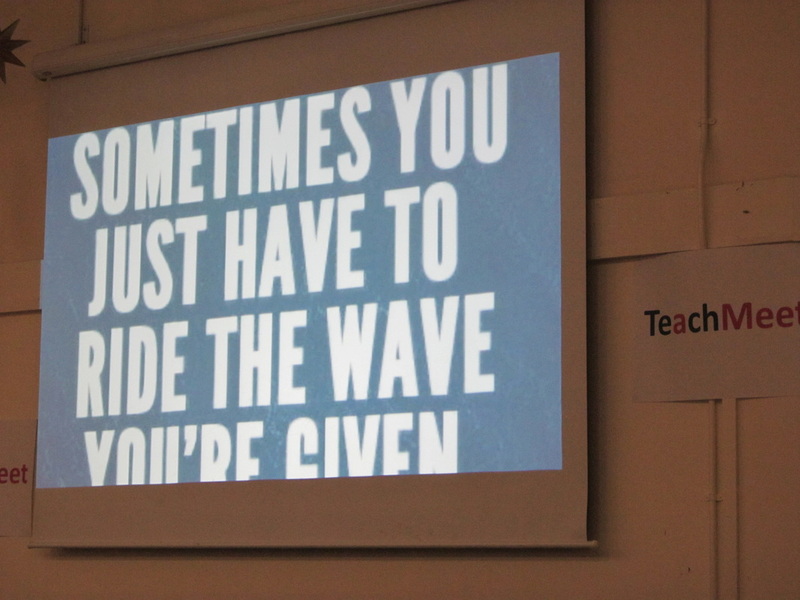 Robbie Fortune ended the TeachMeet with a lovely presentation entitled 'Surf's Up!' It celebrated Robbie's passion for surfing and how he had transmitted this to his Reception class through outdoor learning experiences. His GoPro (http://gopro.com) camera videos showed children surfing the playground and their evident excitement, joy and growing confidence. There was an important message here for all teachers about communicating personal passions and enthusiasms to children to enliven their learning and raise self-esteem. 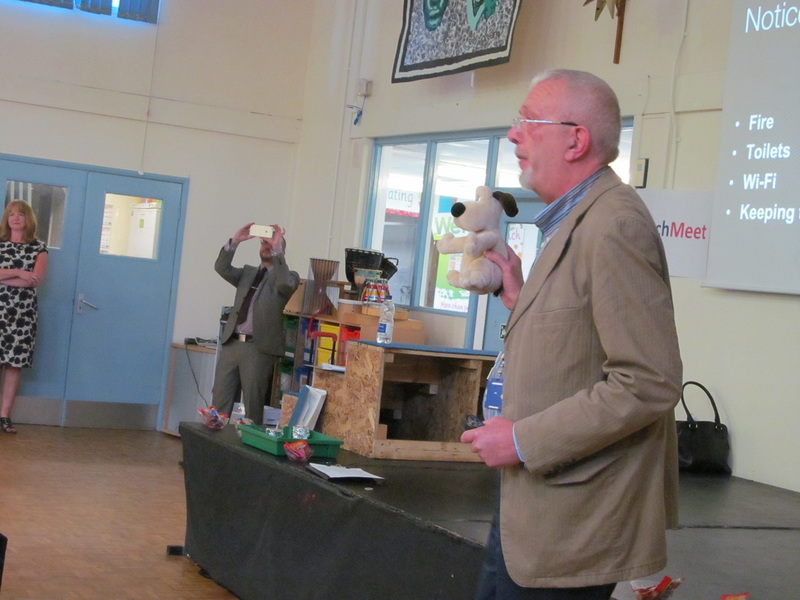 #tmupton took place on Thursday 18th June 2015 at Upton Heath CE Primary School, Upton Lane, Upton-by-Chester CH2 1ED - see Twitter feed below. It was attended by over 40 colleagues from primary schools, secondary schools, the University and other organisations, including supply agencies, training companies and the local development education centre, CDEC. Attendees came from far and wide - from Wrexham and Buckley in Wales to Liscard in north Wirral. 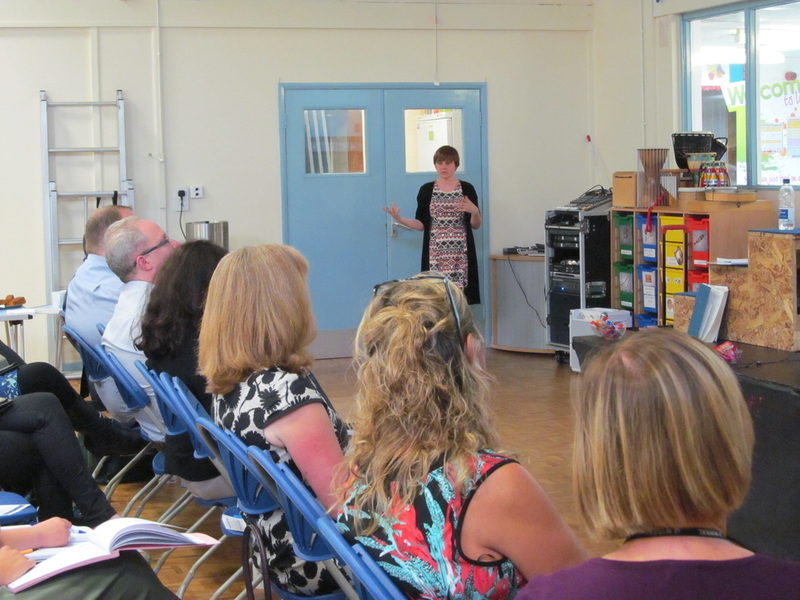 There were nine presentations, which were crammed with inspiring ideas for enhancing teaching and learning - some were by experienced TeachMeet presenters and a couple by TeachMeet novices! Wendy Garner (@FacultyHub), Senior University Teaching Fellow in the Faculty of Education & Children’s Services at the University of Chester, shared insights into the use of mobile technologies. Her presentation looked at challenges and opportunities as well as the value of generic and subject specific apps – see http://curriculumict.weebly.com/geography-apps.html for crowdsourced evaluations of apps for primary geography. Wendy’s presentation ended with an engaging Kahoot quiz with a personal theme on favourite places. The presentation is available in PDF format below. 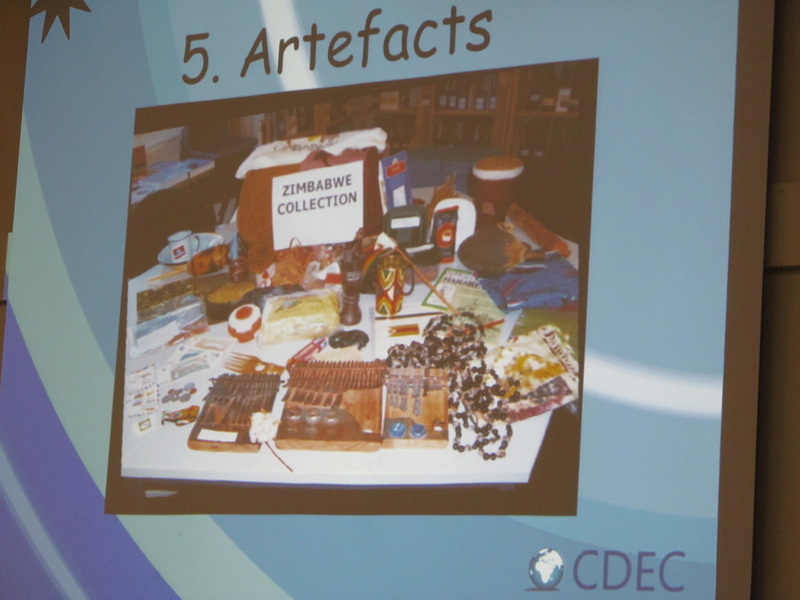 Dean Paton (@Big_Heritage), from Big Heritage presented about Chester Unlocked, a new initiative which has created an archaeological and historical trail around Chester’s retail outlets – objects normally found in museum contexts can be seen in related shops throughout the city. The whole thing is presented as Hoot’s Route and Dean shared leaflets about the project and explained it with his usual commitment and enthusiasm. PDF presentation below. 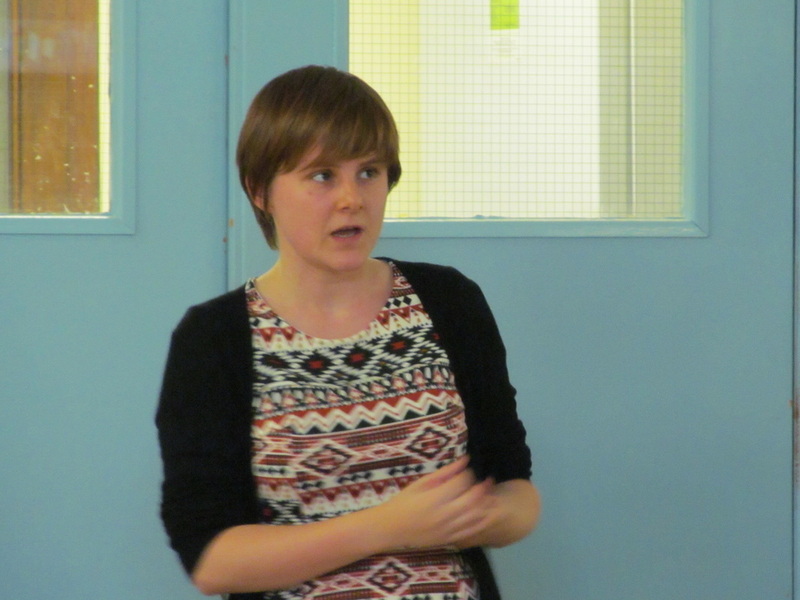 Kate Jones (@87history) from Elfed High School presented next on ‘Poundland Pedagogy in the classroom’ (PDF below). This is a really great idea for using cheap everyday and novelty items from ‘pound shops’ to create engaging and innovative activities for learning. A really entertaining and motivating presentation! Thanks, Kate. 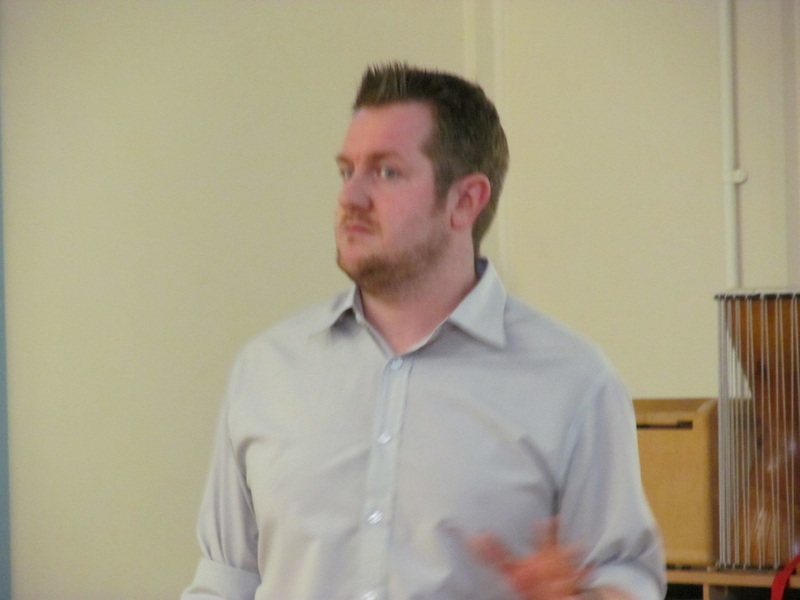 Colin Riddell (@kimcheecolin) presented on ‘Using Google classroom and Google apps’. His presentation showed how a combination of Google services and add-ins can facilitate delivery of learning activities and feedback to students in a simple and seamless process. Impressive. 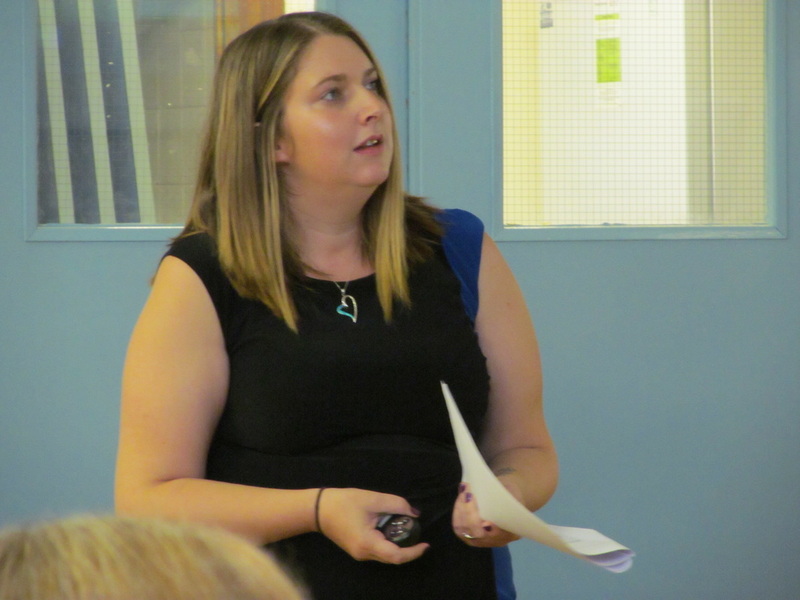 Jade Lewis-Jones (@pshee2015), from Elfed High School, presented next on ‘Personal & Social Education teaching ideas’ – a really engaging collection of ideas and activities for PSHE in a secondary context, which continued the #poundlandpedagogy theme and had plenty to inspire all teachers. PDF file of the presentation is below. 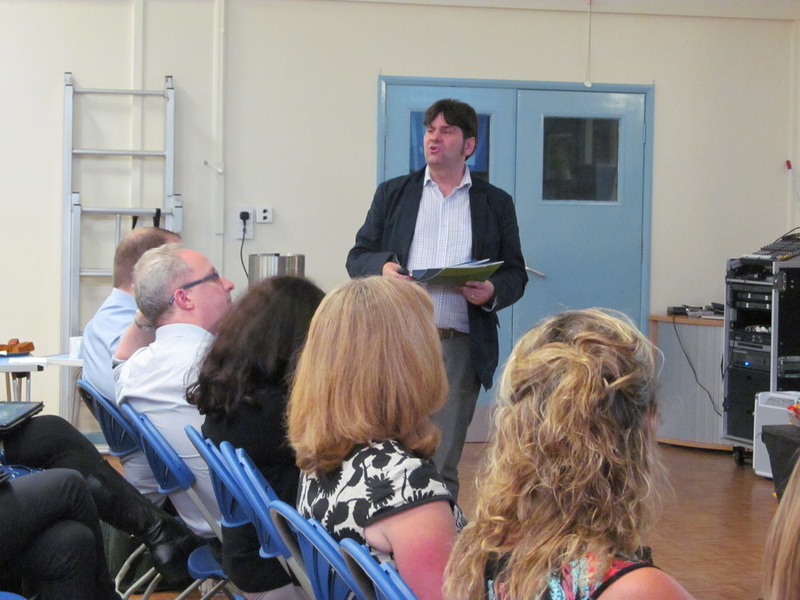 David McDermott (@hexatexEDU) presented his ‘Tips for Challenge: the Gateway to Outstanding Lessons’ next. 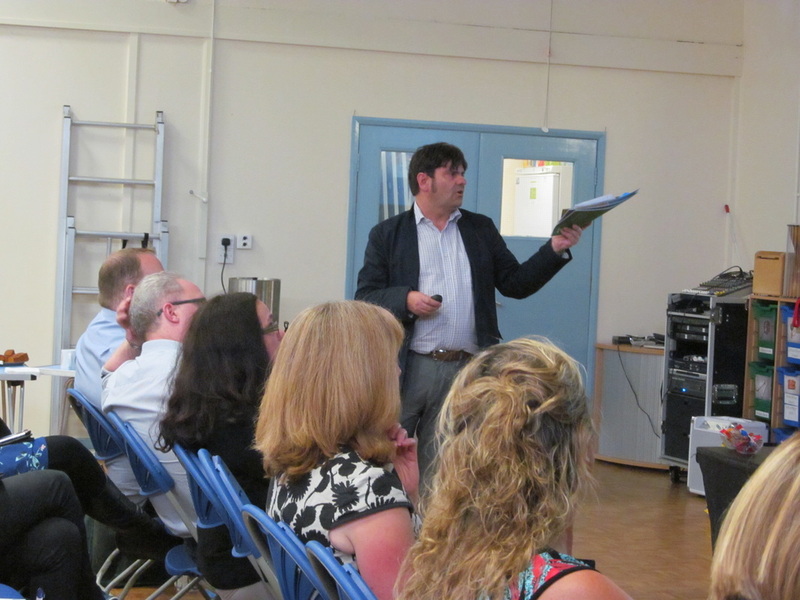 David is an experienced and engaging presenter and his presentation ranged from the theme of not fearing failure to creative ideas for success criteria. David’s presentation is below in PDF format. 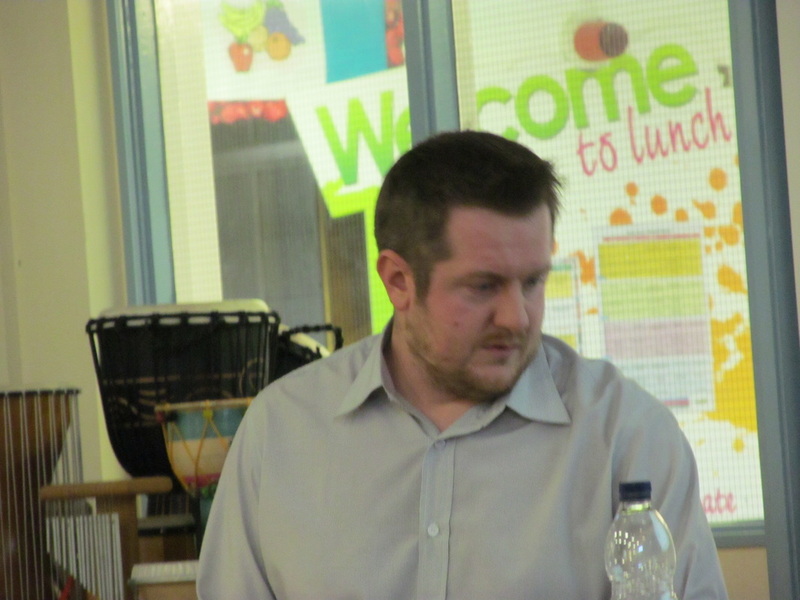 Matt Brooks (@skoorBttam) from Bidston Avenue Primary School is a TeachMeet regular and his presentation looked at ‘Smarter Marking- Who's working harder?’ Matt made some really interesting points about assessment and ways in which children might lead the process. Simple tools, such as highlighters and bingo dabbers, seem to be key to motivating children to set their own targets and challenges. 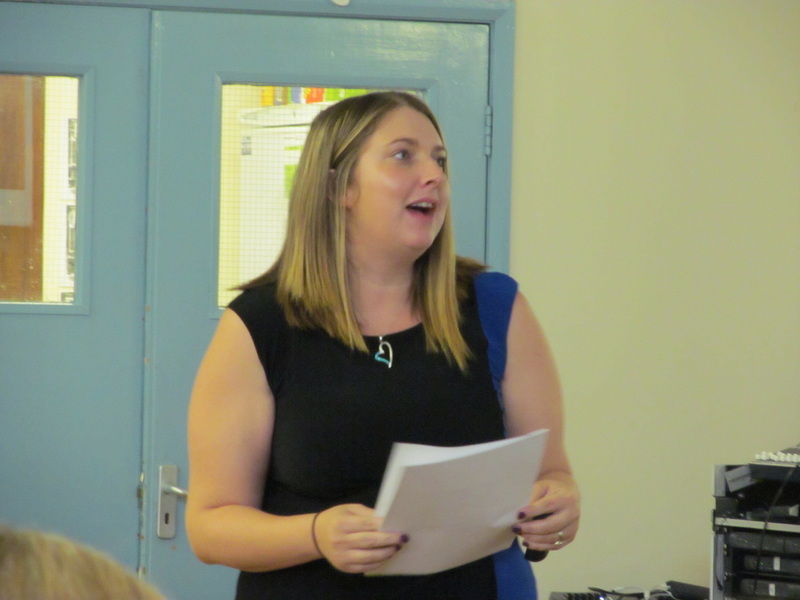 Sarah Liddell (@Mslidell) from Ysgol Bryn Alyn in Wrexham presented herself as the ‘TeachMeet Magpie’ and her presentation showed clearly how simple ideas from TeachMeets can be developed, adapted and improved to enhance learning. A very creative magpie! A PDF of Sarah’s presentation is below. 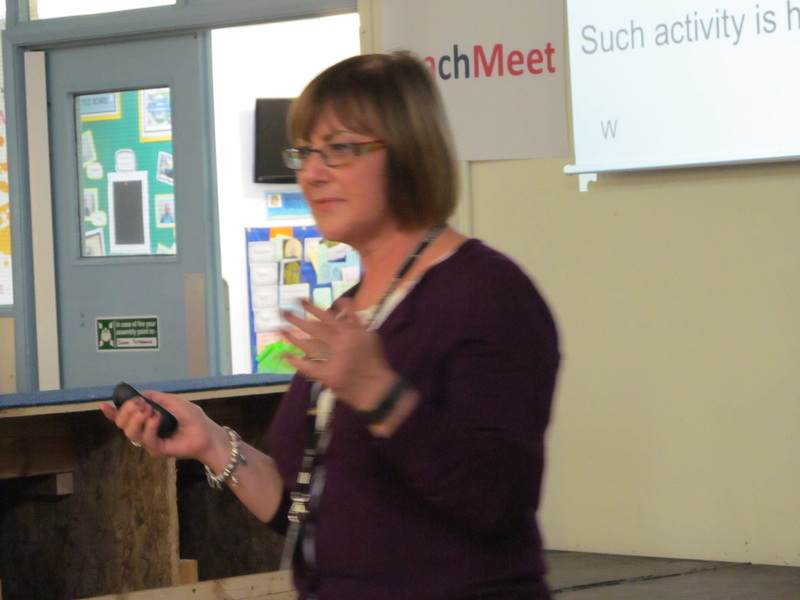 Laura Bratherton (@QueenCode) ended the TeachMeet with her presentation on ‘Dangerous Datalogging’. 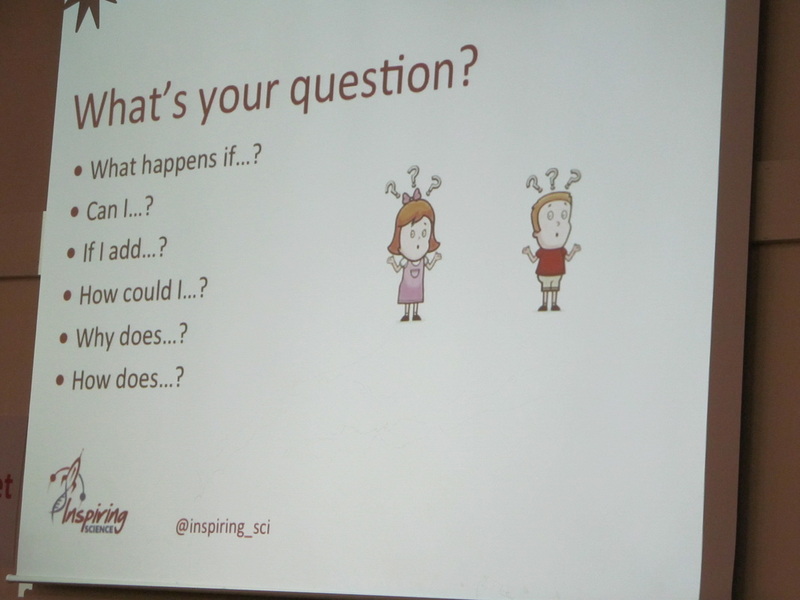 As a relatively new participant in the Chester ICT Project, Laura impressed the associate teachers who worked in her school and this presentation showed clearly why her school, Liscard Primary, has gained a great reputation for integrating technology for learning across the curriculum. 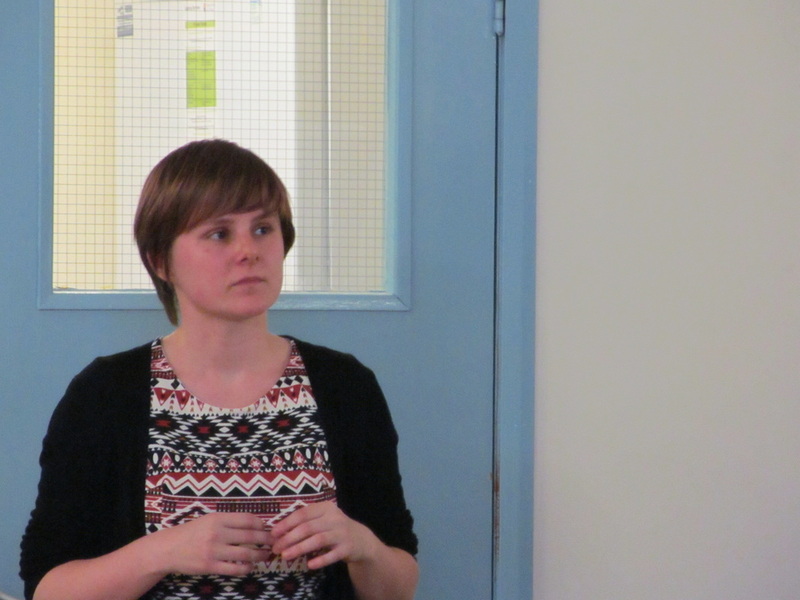 Laura offered a new perspective on data logging by focusing on the use of mobile apps to monitor and log environmental variables and the human body. See the PDF file below and integratingictintheclassroom.weebly.com for Liscard’s innovative ideas. Vouchers for iRevise.com Teacher and Student Accounts were also available for participants. 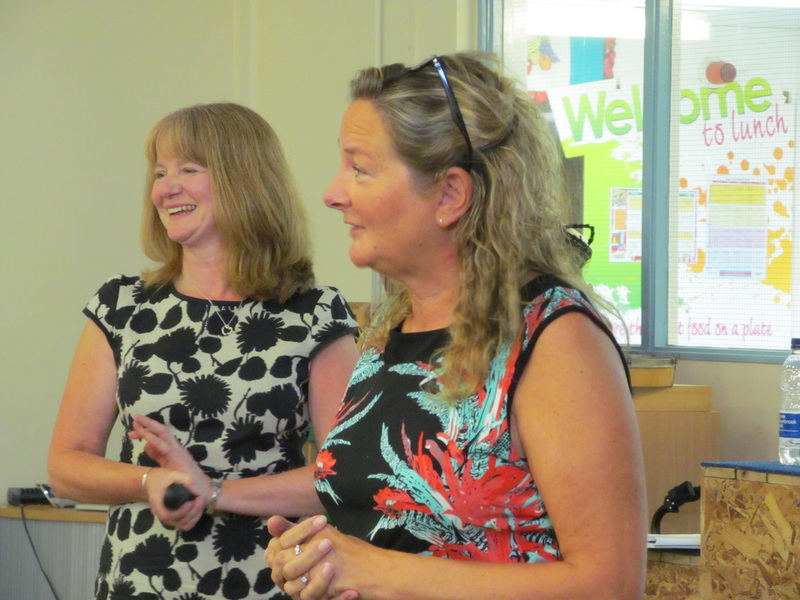 Finally, many thanks to the head and staff of Upton CE Primary School for staging this event, particularly Emma Howie who organised all aspects of the TeachMeet in school. Thank you, Emma. Following a short keynote by Stuart Rathe from Overchurch Juniors (@mr_rathe), which reflected on the ICT Project from a teachers' perspective and shared some favourite apps for learning (see Stuart's Prezi here and a video of his presentation here), associate teachers shared their experiences via five minute presentations. Sadly, there was not enough time for all the groups to share, so their presentations appear first in this list. Thanks to everyone for their hard work and congratulations to the raffle winners! Resources from the groups that presented on Monday 9th March 2015 in Riverside CRV322. Videos of the presentations here. 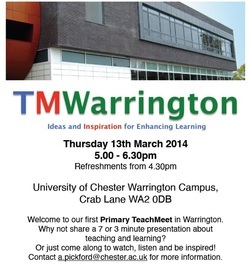 TMWarrington was on Thursday 13th March 2014 at the University of Chester Warrington Campus. It was a small-scale, informal event with around 20 participants from schools and the University. Its low-key, chatty Q & A style gave it a real 'TeachMeet' feel - many thanks to all who participated. Photos here. Thanks also to the sponsors who provided prizes for the raffle: TTS and Crown House Publishing. 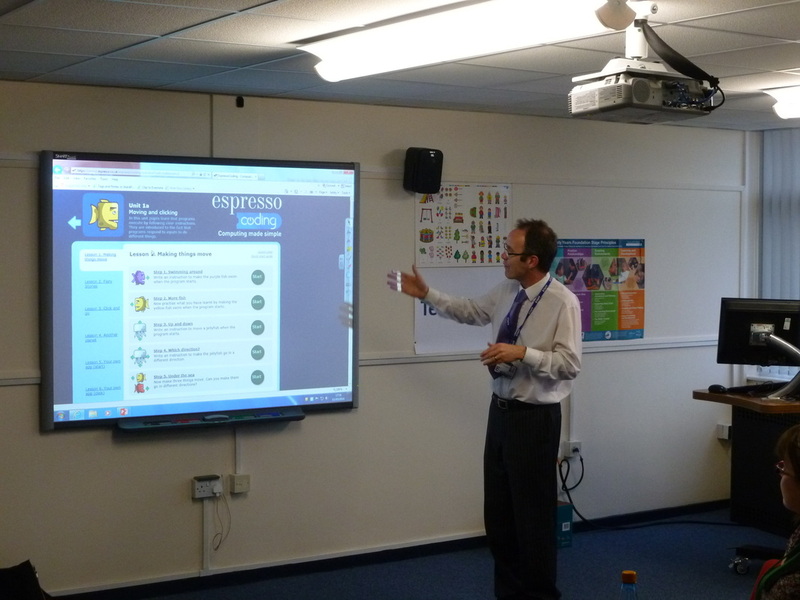 Mark Hamill presented on Espresso Coding and its potential for the Computing curriculum. Sophie Critchlow (@sophiecritchlow) gave 'An intro into Into Film' and really sold the idea of film clubs to the audience. 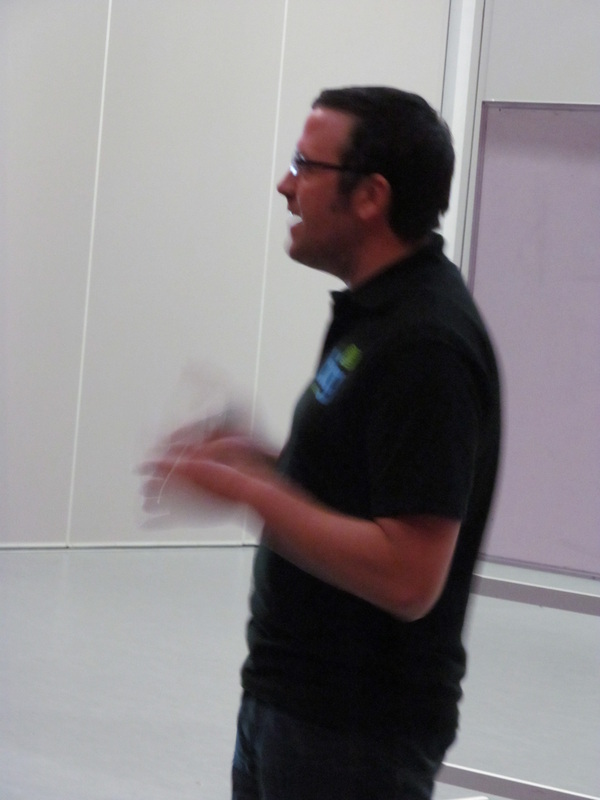 Stuart Rathe (@Mr_Rathe) looked at using Nearpod for interactive presentations and activities. Deirdre Hewitt presented on 'A Non-fiction View of Fiction' using the story of Owl Babies on the Literacy Shed website to illustrate how stories can promote learning. Simon Poole (@theloosekites) talked about the potential of wikis as tools for developing writing and for innovative assessment techniques. TeachMeet Ellesmere Port was on Thursday 26th September 2013 at the University Church of England Academy (UCEA). Thanks to the school and UCAT for allowing us to use their impressive facilities and state-of the-art equipment. There were six presentations (quality not quantity) and you will find resources and links from each presenter and presentation below. 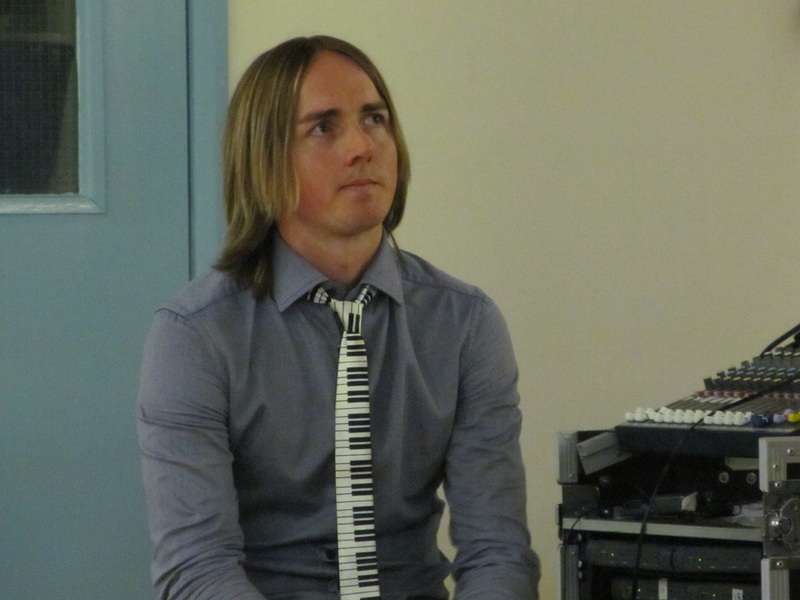 David May (@mm_2312) to Infinity and Beyond. And a presentation we did not have time for - from Tony Pickford (@TonyPickford1) - on online tools for programming in the new Computing curriculum, including Unit The Robot, Light-bot and Code Monster. 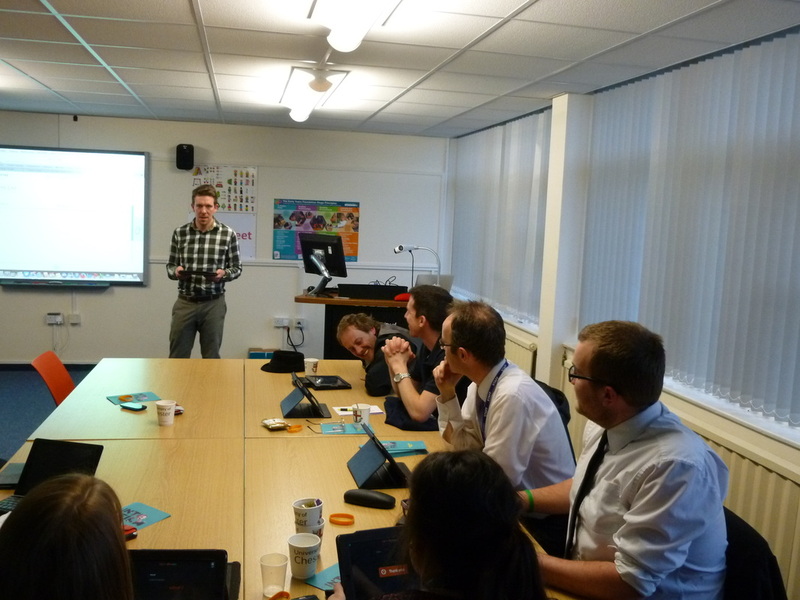 Simon Poole (@theloosekites) presented on 'Using XBox for Literacy', including using Kameo to insprire writing. 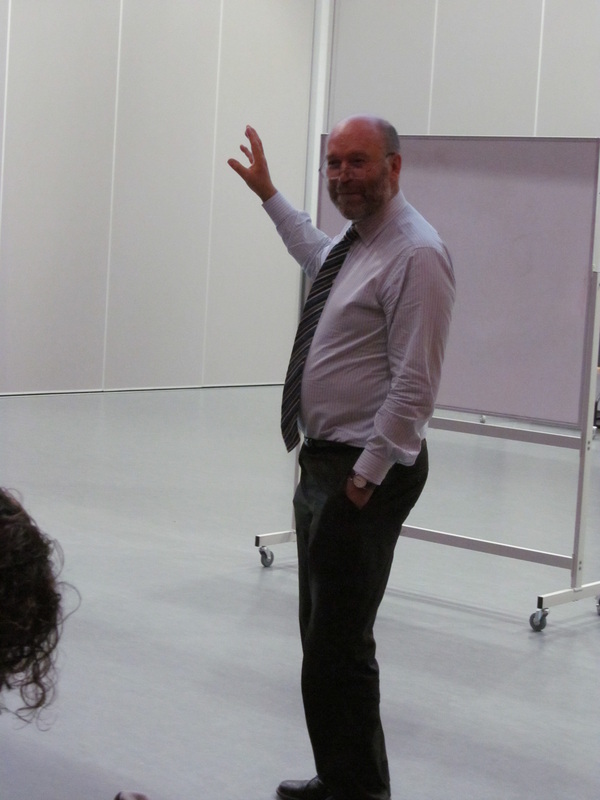 Martin Little (m.little@chester.ac.uk) shared his thoughts on teaching and learning about fractions. Contact Martin, by email, if you would like to contribute to his Popplet on Fractions. Dean Paton (@Big_heritage) looked at the meaning of placenames in the local area and what they tell us about invaders and settlers - brilliant stuff for the new History curriculum! David Smith (@dave9a2001) presented on the Gamification of Homework and contributed a subscription to the Learner Journey E-Portfolio as a prize for the prize draw. Thanks. 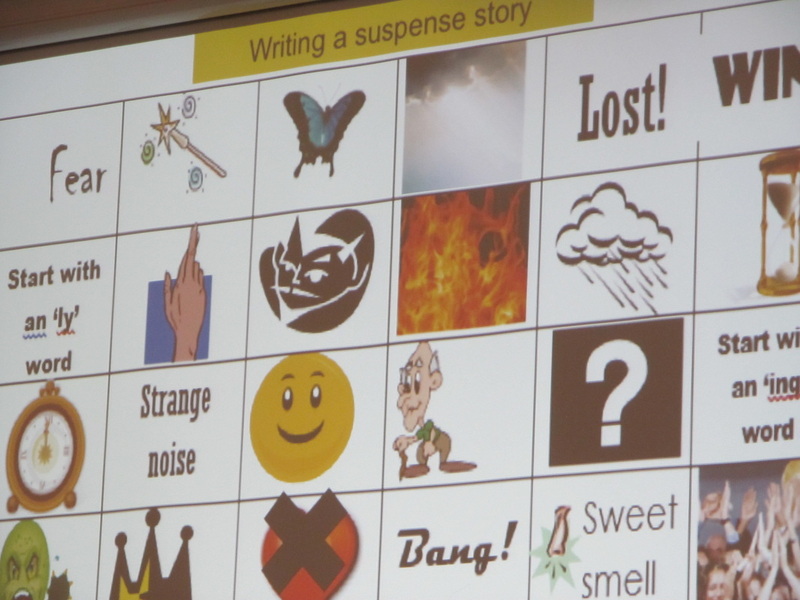 Jane Tucker (@ictfunlearning) presented on the 100 Word Challenge and Matt Brooks (@skoorBttaM) shared some innovative ideas on 'Rethinking Homework'. 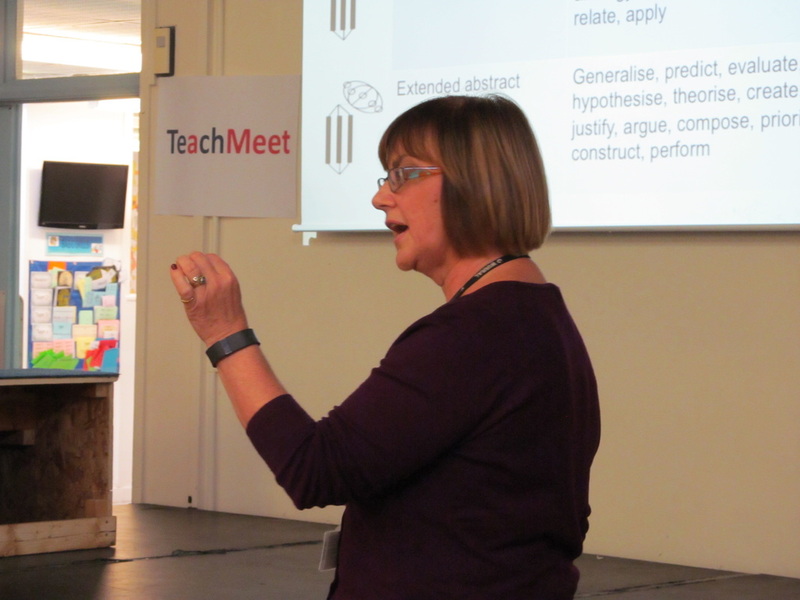 Images from #TeachMeetEP are available here. Videos of the presentations are available on the UCEA YouTube Channel (apologies for the sound quality). Really interesting ideas about quadblogging and kidblog.org. Hope to implement these in school! The micro presentations are so useful, it is fantastic to see how much can be done even with very young children. Great to see some new sites and apps, downloaded two already! Excellent opportunity of sharing good practice and promoting enthusiasm for use of ICT within school. Some inspiring presenters who I hope to be establishing further school links with! A great afternoon. Absolutely amazed at what can be achieved. Eager to get back into school! Brilliant ideas! Some of these programs have many applications in the classroom! The possibilities are endless! Excellent! Really exciting ideas, thank you. Really great session. Well organised and great presentations. Great to see students along too. Often wondered why Teachmeets aren't flooded with the next generation of teachers. 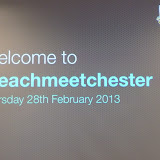 Resources and links from the TeachMeet on 28th February 2013. Files to download below.